Acorn Business Centre provides meeting rooms, training rooms and conference facilities that can cater for any group size up to 20 people. There are a selection of rooms available to suit all business requirements, whether it is an interview, an intimate meeting room or a conference, Acorn Business Centre can cater for all needs. 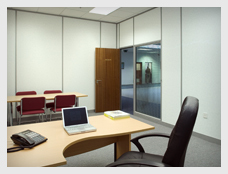 Meeting rooms and conference facilities can be booked hourly, or on half-day and full–day rates. There is unlimited free parking available for all clients and visitors. Tea/Coffee and catering facilities are available on request. The Reception area at Acorn Business Centre creates a welcoming and professional appearance to all clients, guests and visitors, giving businesses the professional and credible appearance they deserve. All our meeting rooms can be adapted to suit individual needs and include a projector, flip chart, DVD player etc.